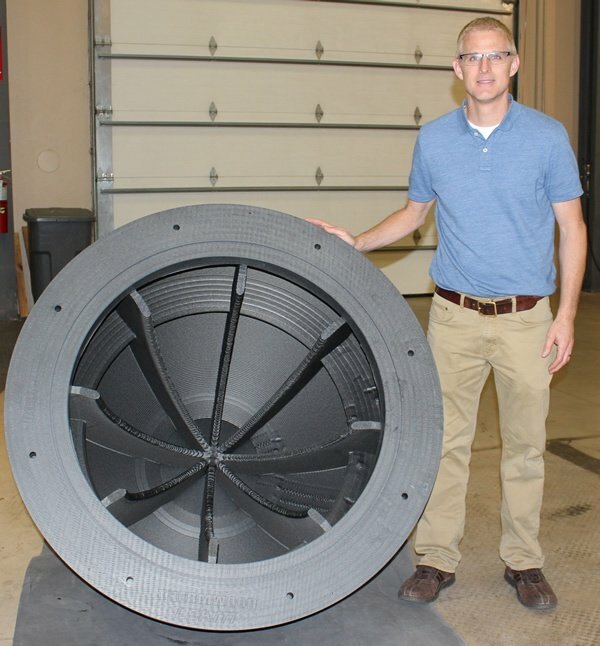 Thermwood has completed initial testing of a larger melt core for its LSAM (Large Scale Additive Manufacturing) systems and the results are stunning. 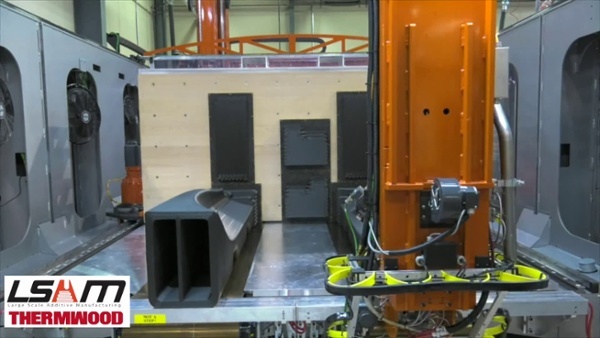 Thermwood’s additive print head housing can accommodate interchangeable melt cores. 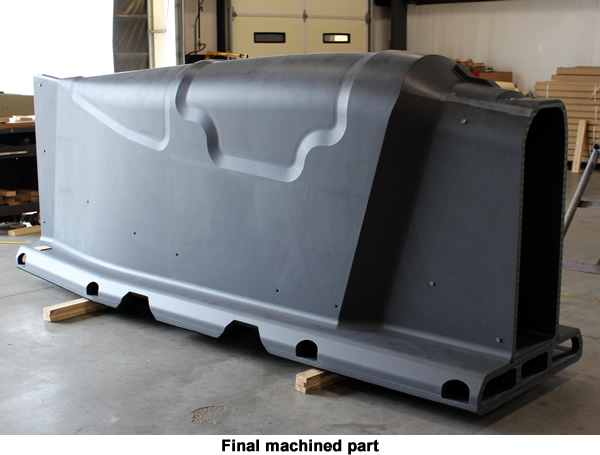 A melt core consists of a feed housing, extruder and polymer melt pump and determines just how fast material can be printed. 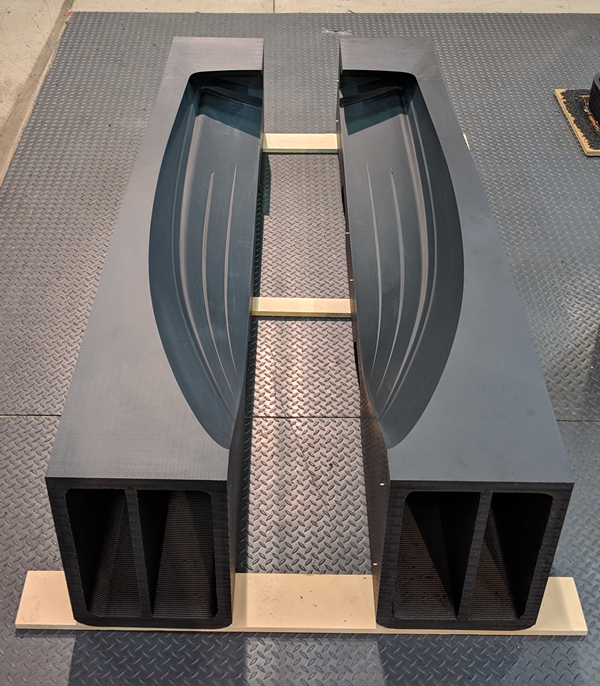 The standard 40mm melt core has a maximum output of between 190 and 210 pounds per hour, depending on the polymer being printed, which translates to 40 - 50 feet of standard bead (0.83”x0.20”) per minute. 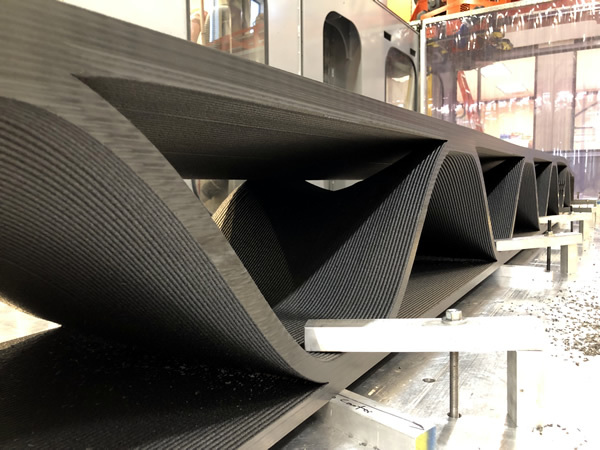 The new 60mm melt core has been tested with different polymers and has achieved print rates from 480 to 570 pounds per hour, which translates to well over 100 feet of bead per minute. 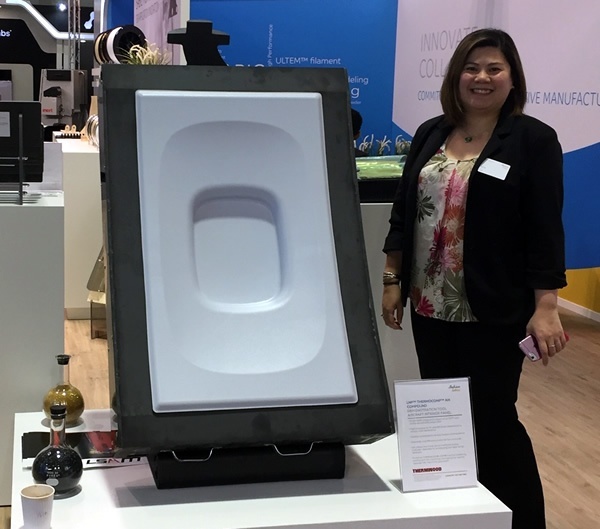 Only by printing when the previously printed layer is within the proper temperature range can you achieve a completely solid, void free printed structure that maintains vacuum in an autoclave without a secondary coating. 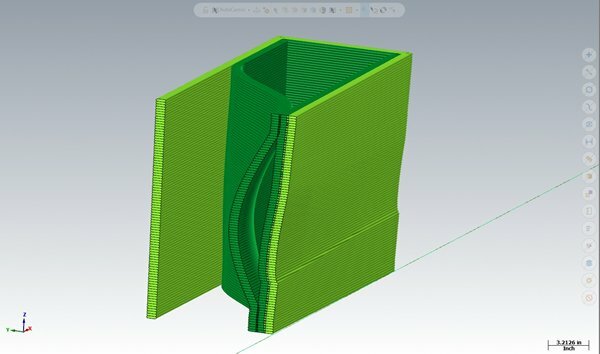 This is as fast as you can print a layer. 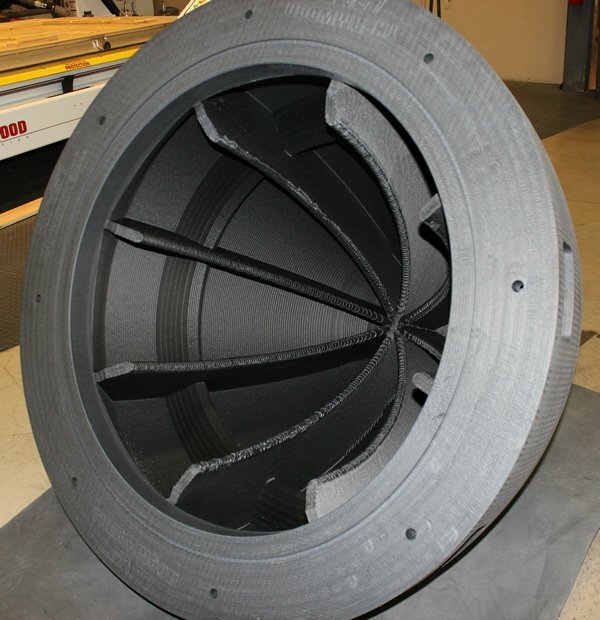 The print head output then determines how much material can be printed during the time it takes for the layer to cool. 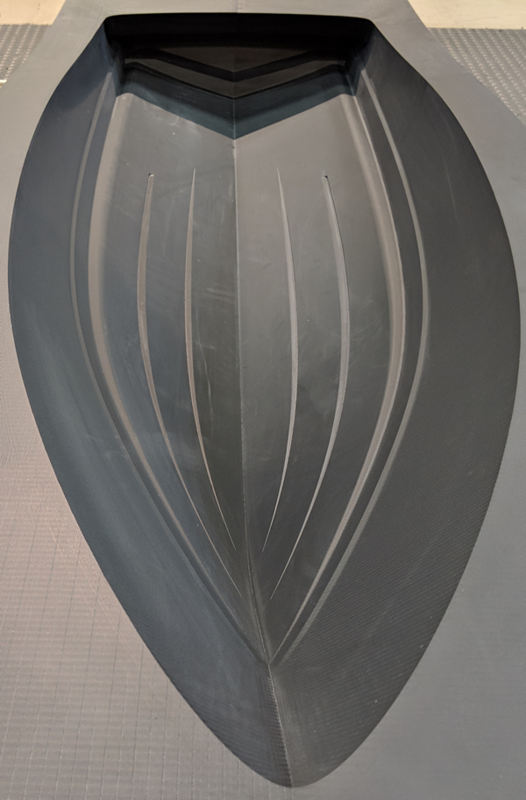 Bigger print heads mean bigger parts not faster layer to layer print time. 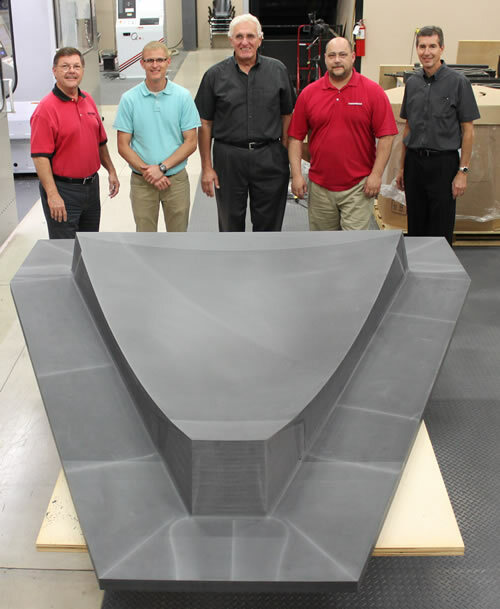 “This new development opens a new world of additive manufacturing possibilities” says Thermwood’s Founder, Chairman and CEO, Ken Susnjara. “This is one of the most exciting advances we have achieved to date and now we can do things we couldn’t even consider before”. 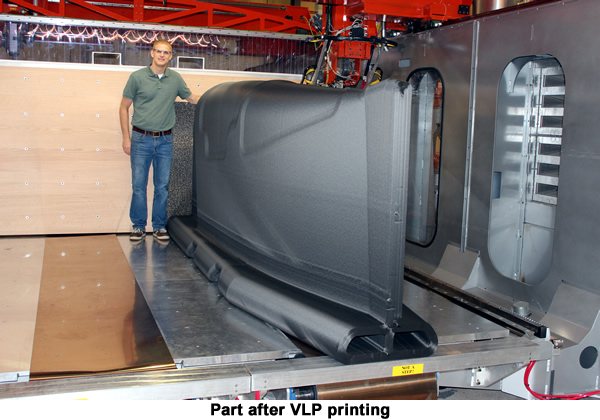 For example, Thermwood recently announced Vertical Layer Printing which allows parts to be printed that are as long as the machine table. 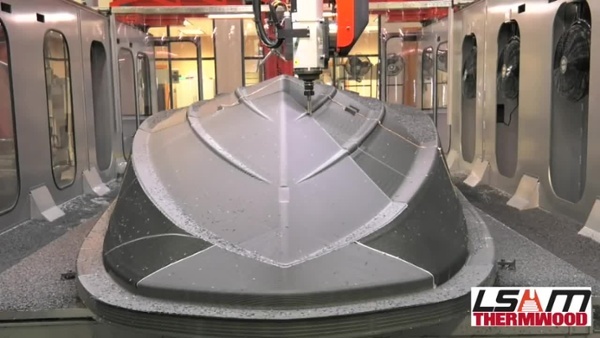 In this process, however, the layer stack direction is along the length of the part. 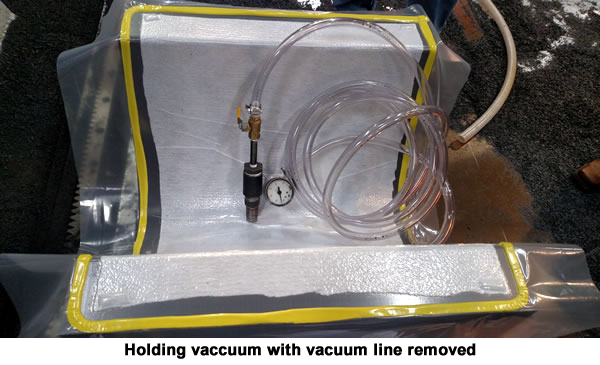 This works well for room temperature or low temperature patterns, fixtures and molds, however, for high temperature molds, for use in an autoclave for example, the thermal expansion (CTE) along the stack direction is as much as 20 times greater than along the bead direction. 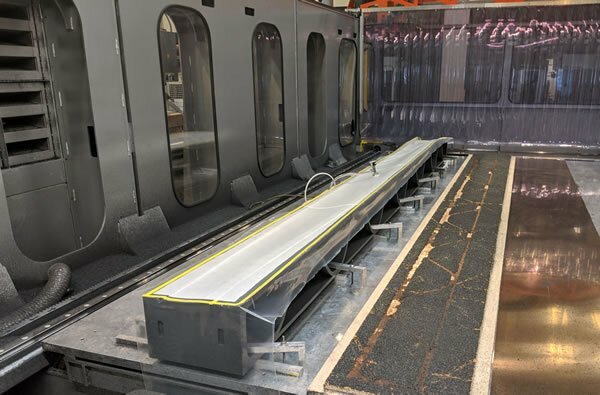 Therefore, it is desirable to print long tools with the bead oriented in the long direction, however, print heads, even Thermwood’s 200 pound per hour head, currently the largest in the industry, have been too slow for this…until now. 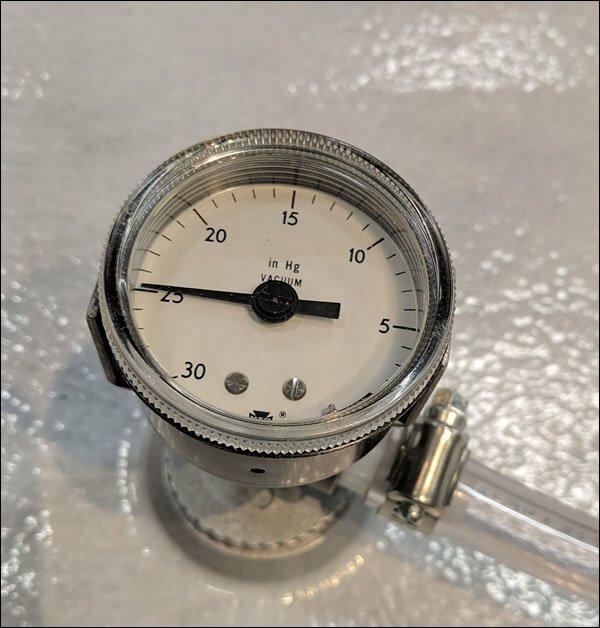 The high print rate of the new melt core, even when processing high temperature materials, allows the print bead to be oriented along the length of the tool, even for tools that are as long as the machine table itself. 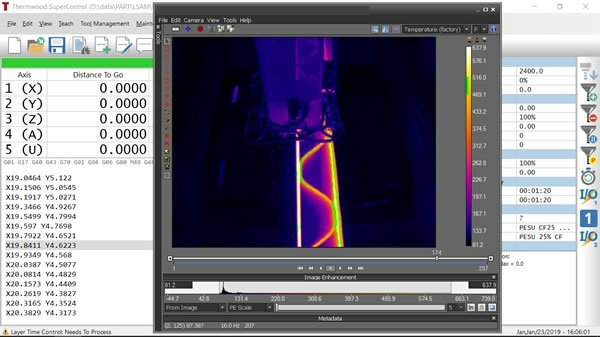 In addition to a maximum speed, each melt core has a minimum speed at which it can continuously print. 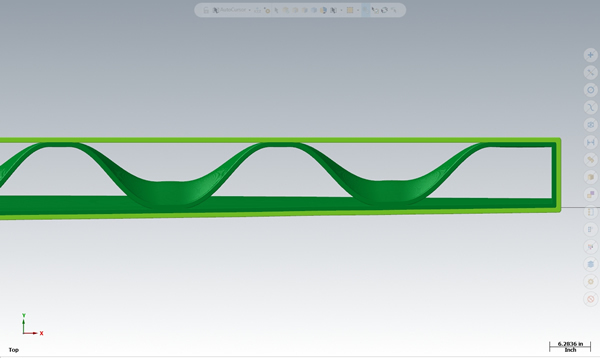 Parts with bead lengths smaller than this minimum, require the print head to move to a “Hot Hold” area where it runs at a slow maintenance speed, spilling material at a slow rate until the required cooling time has been achieved. 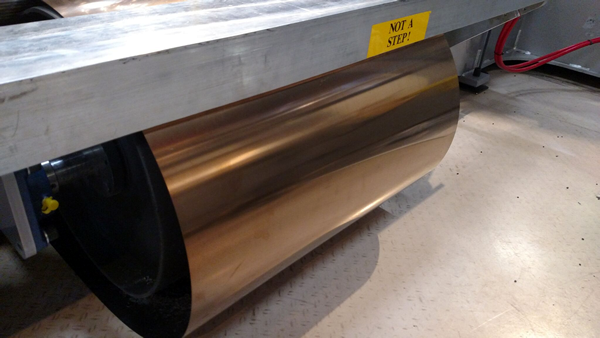 This wastes material and means the larger melt core may not be desirable for all applications. 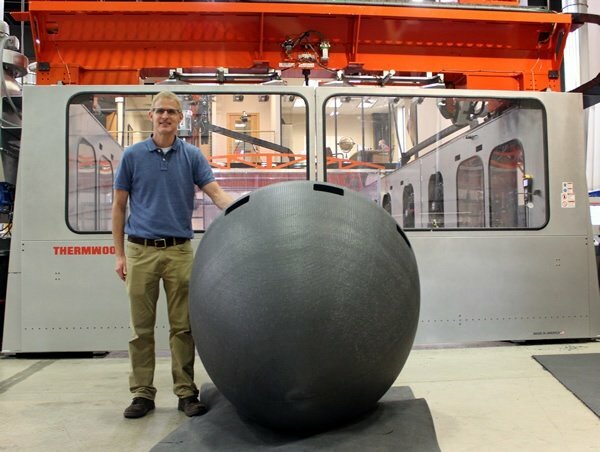 Many tools and molds are just too small for efficient printing with the larger core. 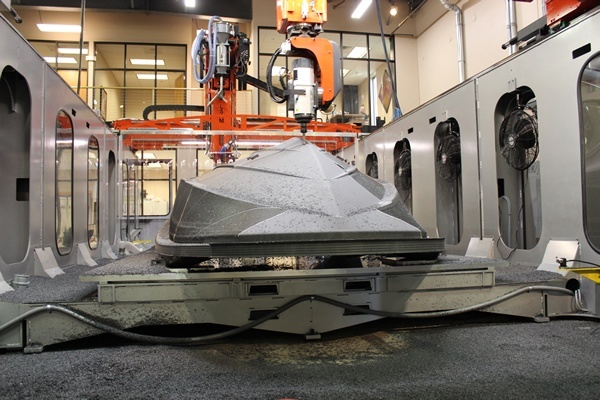 If a user needs both small and large parts on the same machine, the melt cores can be switched in less than a shift. 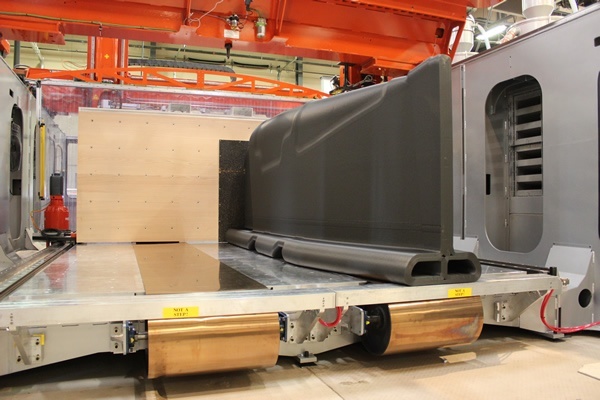 Thermwood believes the next step in this development is to address the challenge of really long autoclave capable tooling. Be assured, work in this area has already begun. 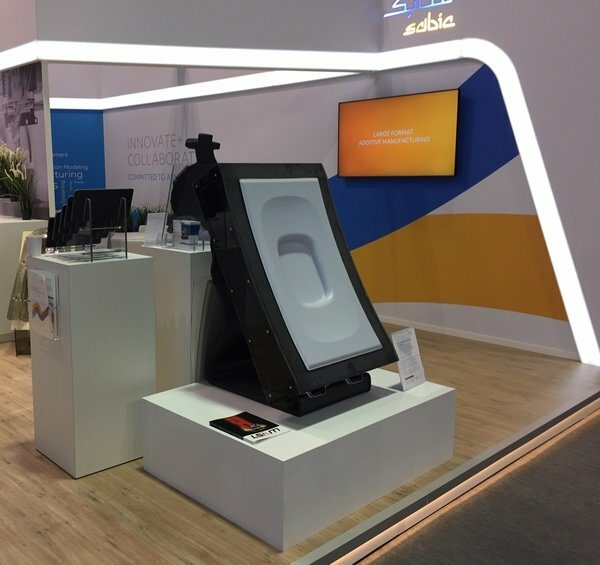 Sabic, a Saudi diversified manufacturing company, active in petrochemicals, chemicals, industrial polymers, fertilizers, and metals recently showed an additive manufactured aerospace tool in its booth at the recent Formnext additive manufacturing trade show in Frankfort Germany. 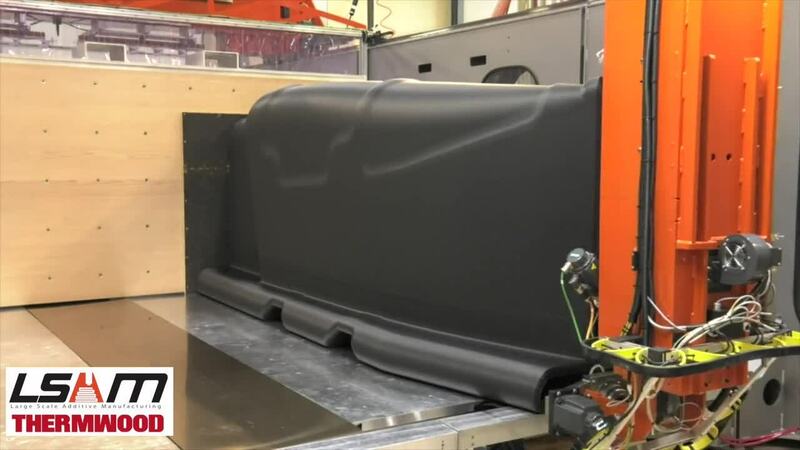 The tool, which was 3D Printed and trimmed on Thermwood’s LSAM® demonstration system at its Southern Indiana headquarters, is made from Sabic’s ULTEM™ high temperature thermoplastic composite material. 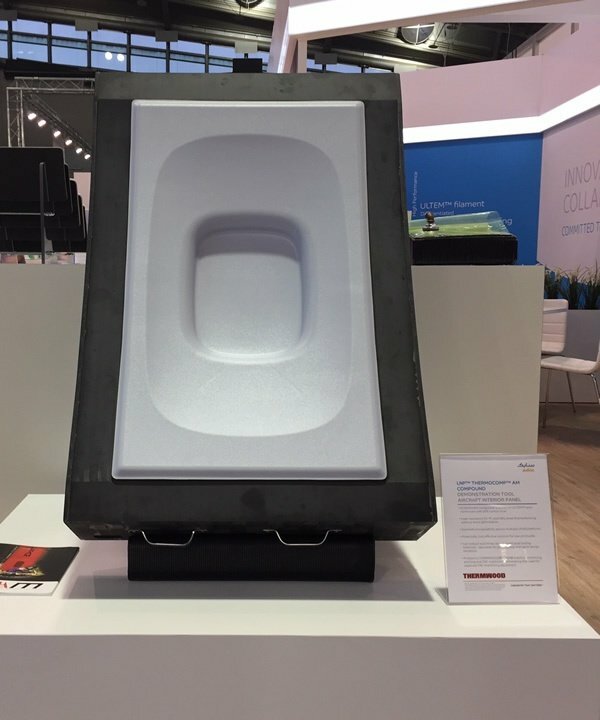 SABIC’s portfolio of THERMOCOMP™ AM reinforced compounds, which includes materials based on ULTEM™ resin, is helping to encourage the use of large scale additive manufacturing for specialized applications, such as high-temperature autoclave tooling for the aerospace industry, reusable tooling for the cast concrete industry and a wide range of lower-temperature large part thermoforming tooling. 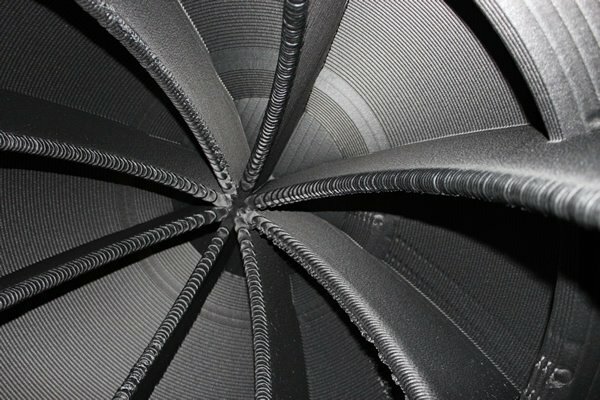 Printed tools can help to reduce cost, construction time, inventory and weight vs. traditional steel tools. 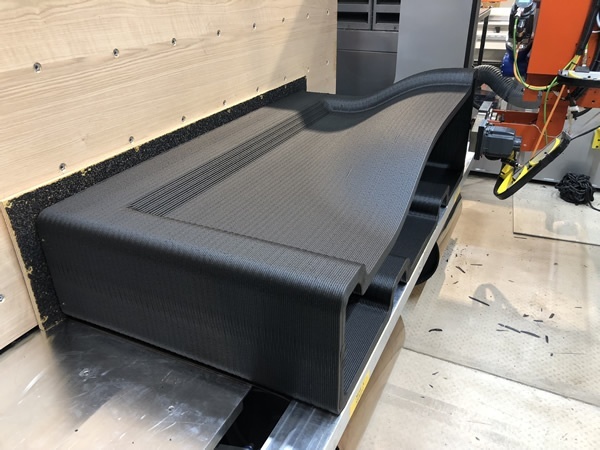 At the Formnext show, SABIC featured a thermoforming tool for an aircraft interior panel printed on a Thermwood LSAM® machine using THERMOCOMP™ AM EC004XXAR1 compound, a SABIC material based on ULTEM™ resin with 20 percent carbon fiber reinforcement. 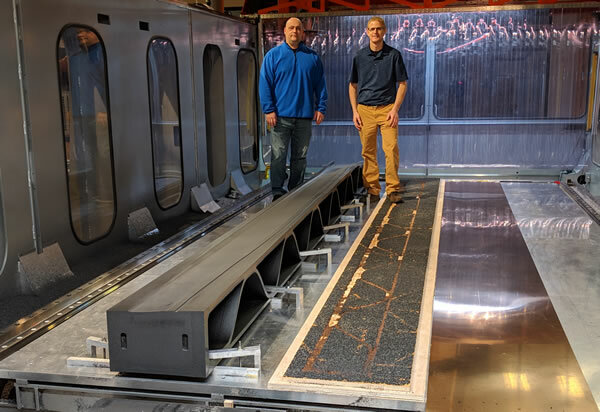 Two tools, a male and female of the same shape and dimensions, were printed at Thermwood’s demonstration center in Southern Indiana at the same time in 6 hours and 7 minutes using 449 pounds of material. 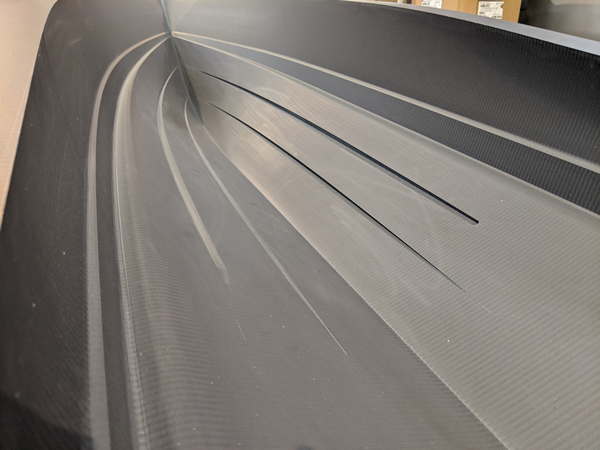 Trimming required an additional 6.5 hours per part or 13 hours total. 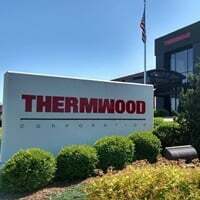 Thermwood is a US based, multinational, diversified CNC machinery manufacturer that markets its products and services through offices in 11 countries. 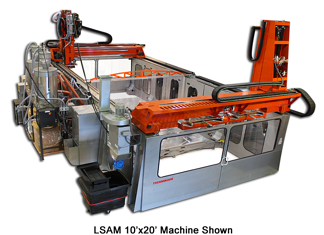 Thermwood is the oldest manufacturer of highly flexible, 3 & 5 axis high-speed machining centers known as CNC routers. 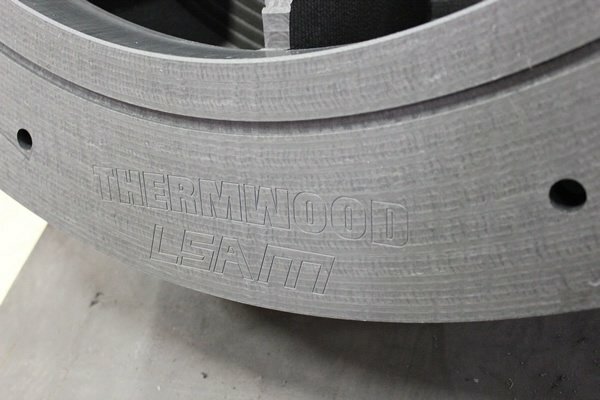 Thermwood has also become a technology leader in large scale additive manufacturing of thermoplastic composite molds, tooling, patterns and parts with its line of LSAM (Large Scale Additive Manufacturing) machines that both 3D print and trim on the same machine. 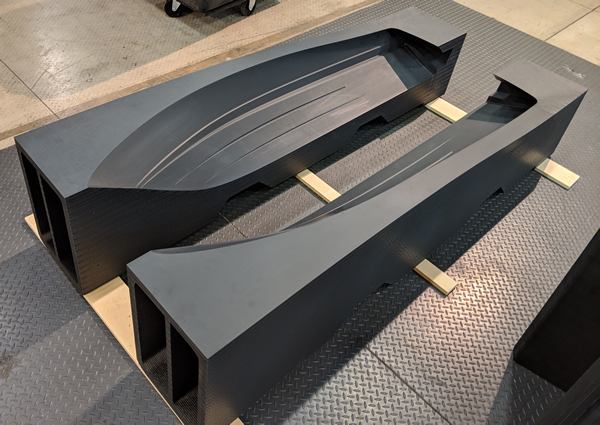 Thermwood recently printed a tool using PESU (which is a high temp material mixed with 25% carbon fiber) to test for vacuum integrity on an LSAM (Large Scale Additive Manufacturing) system. 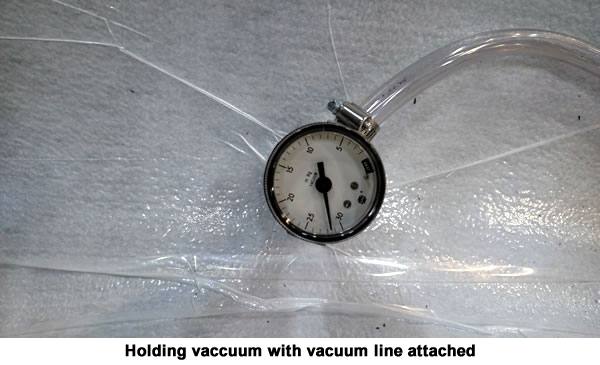 After printing and machining the tool, we vacuum bagged it and immediately achieved 28 InHg. 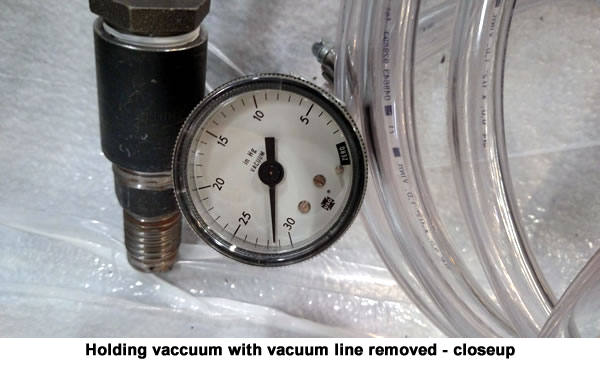 The vacuum line to the bag was then removed, and almost 2 hours later, the vacuum had only dropped 1 InHg to 27 InHg. 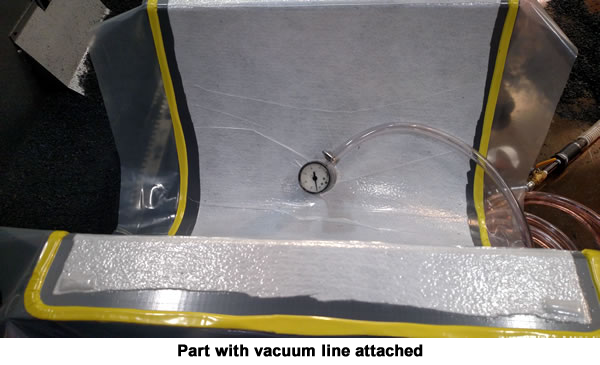 This test result was achieved without the use of any type of external coatings or sealers - the bag was placed directly on the final trimmed surface. 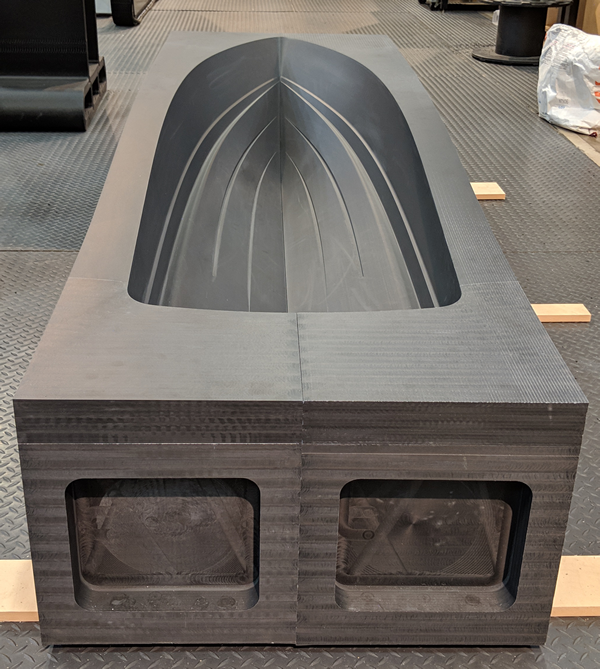 Thermwood will have this tool on display to demonstrate this process in our booth (J60) at the upcoming CAMX show held in Dallas, TX on Oct 16th-18th. 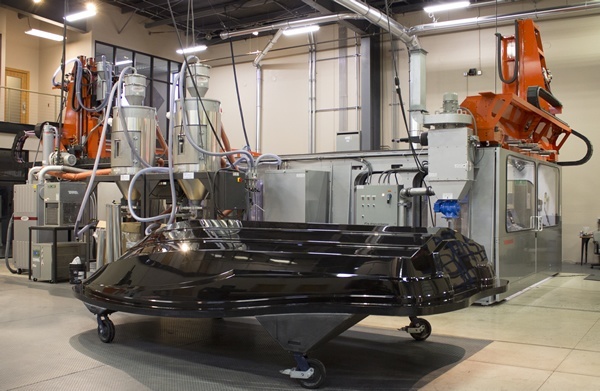 The Additive Conference 2018 (September 11th and 12th) in Chicago, IL starts this week, and Thermwood will be there to talk LSAM (Large Scale Additive Manufacturing). 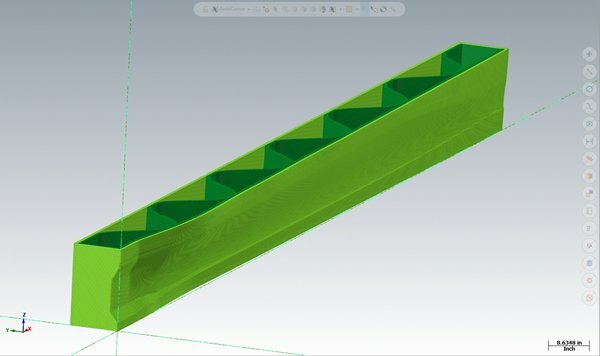 We will have 3D printed samples to see and touch as well as videos and literature. 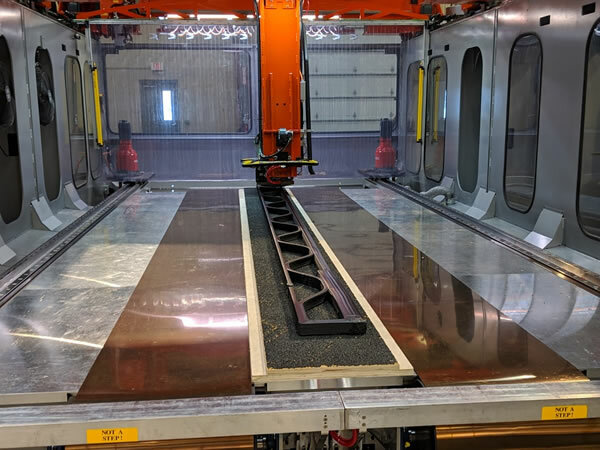 Our knowledgeable sales staff will also be on hand to help answer any questions you may have about the future of Large Scale Additive Manufacturing and how the Thermwood LSAM can help your company charge ahead in this new area.